Time to Purge Your Magazines! Baskets of unread magazines: this is a biggy for many women I know and love. One. 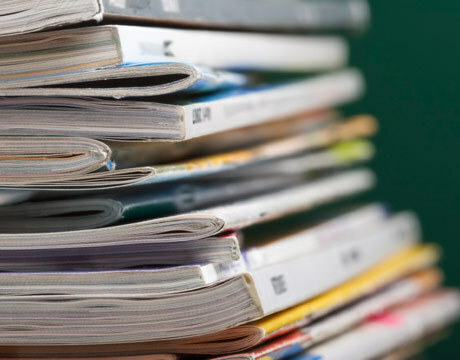 If you have numerous magazines, but never have enough time to read them, rethink the money that you’re spending and cancel those subscriptions. Tell yourself that if there’s a subject or topic that you are interested in (recipes, parenting guides, health articles) you’ll do a search on the internet instead.Also, keep in mind that many magazines out there have great websites! Stop starring at the piles, and toss them in your car and donate them to your local hospital or car service center. Put them where they’ll really be appreciated! Two. If you have the time to read the magazines, but always keep them piled for their inspiring articles, keep an exactor knife next to your favorite reading spot.When you come across a fabulous article or recipe, cut it out. Either file it in a file box by category dedicated to magazine articles, or start a few binders with sheet protectors to store your favorites. Then you don’t have to spend hours searching for a certain magazine article. You can start a home decorating book, a garden book, and inspiration book, and even a recipes-to-try book. The possibilities are endless!